A sample platter of North and the South Island highlights including the Coromandel, Tongariro, Rotorua, Kaikoura & Christchurch. 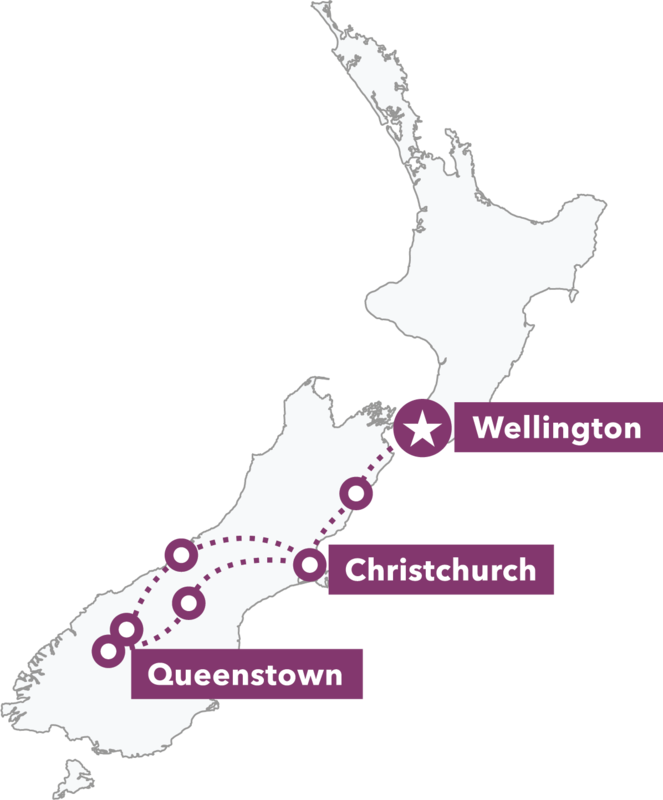 Visit Queenstown, Wanaka, glaciers & rainforests then see more of the South Island on the world famous TranzAlpine rail journey. Uncover all the beauty, adventure, culture and fun activities of New Zealand and tick practically everything off your bucket list. Discover the best of the North and South Island. 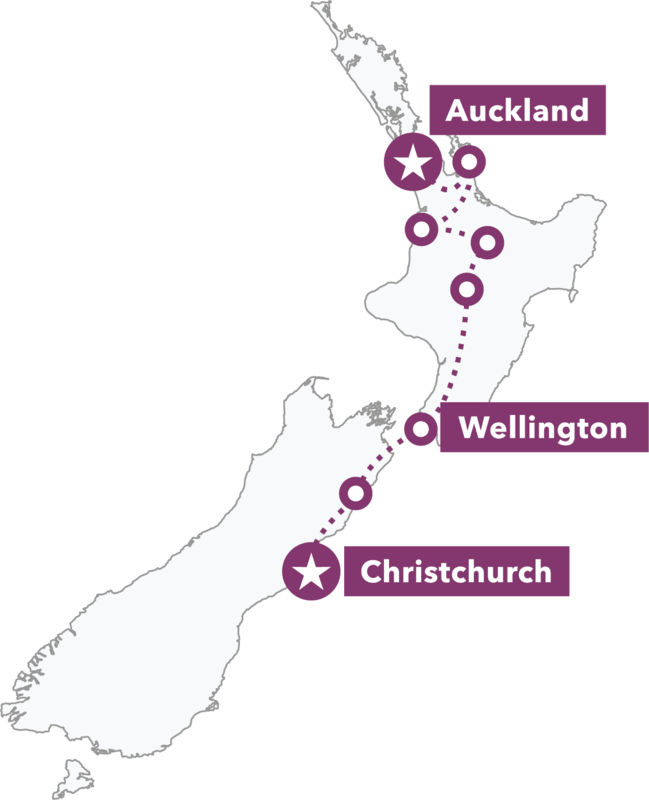 Tours run from Auckland to Christchurch, or Christchurch to Auckland. Our Legendary Tour lives up to its name, with stupendous scenery, bucket loads of adventure and eye-opening cultural experiences. 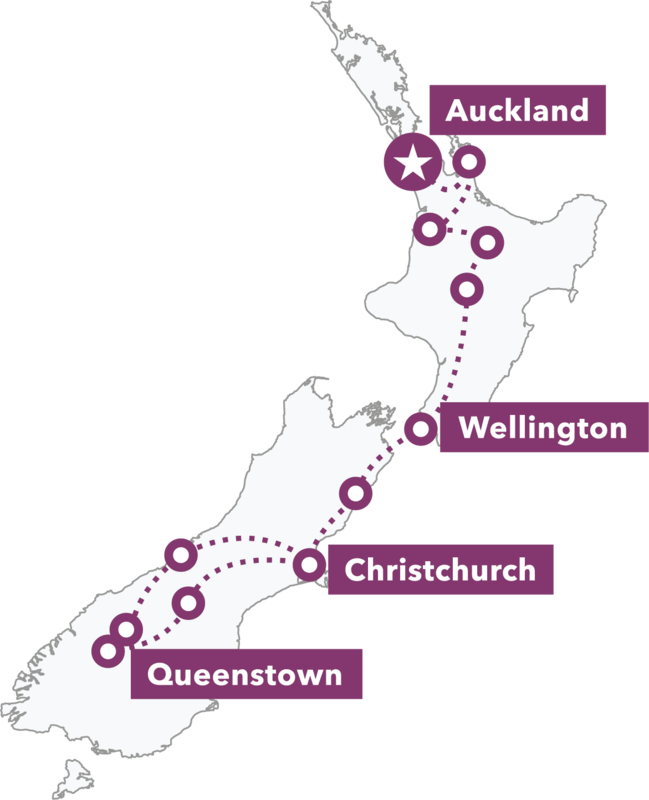 Discover more of NZ than most New Zealanders, as you thoroughly explore the best of both the North and South Islands.